In an initiative from a school librarian, students model civility in political conversations about the hotly debated issues of the day. Along with newly formed friendships, Smithfield has seen increased civic engagement. 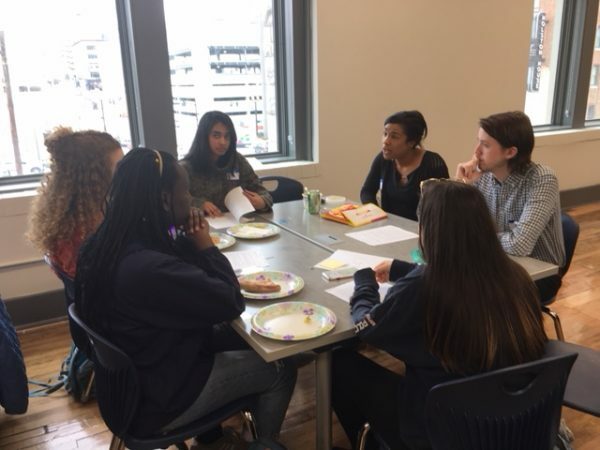 As part of the National Week of Conversation April 20-28, Smithfield and the ProjectCiv students partnered with the Nashville Public Library for a Youth Civic Engagement Fair. 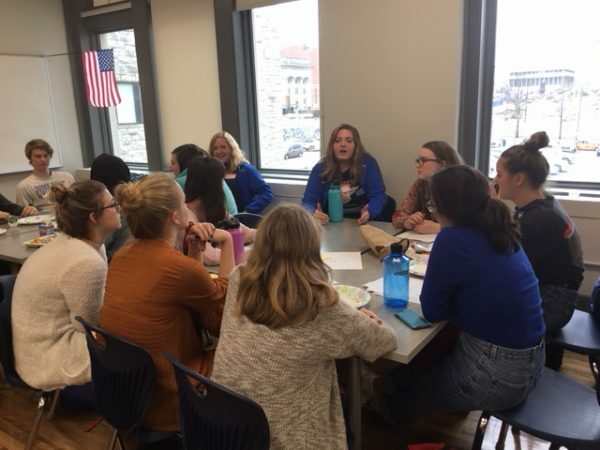 The students are there to help teach about teen advocacy and have civil conversation with those who might not share their political opinions. Passionate about common sense gun laws? Come have a respectful chat with a gun owner who strongly disagrees with you. The fair is one of many outside-of-school activities these students participated in. Republicans and Democrats alike have been part of a wide voter registration drive, many attending the March for Our Lives no matter their gun control views, in order to sign up fellow young people to vote. Interest in the lunchtime discussions, as well as getting involved in politics or advocacy, has increased since the February shooting at Marjory Stoneman Douglas High School. Students have gone to the state capitol, met legislators, and written letters to the editor of the local newspaper on important issues. “Working with these kids, it really gives me a lot of hope,” Smithfield says. “These are kids who are looking around and saying, ‘I can make a difference.’” Smithfield, and her students, invite members of the community to the school to join the discussions. For the librarian, allowing these adults does more than broaden the conversation. 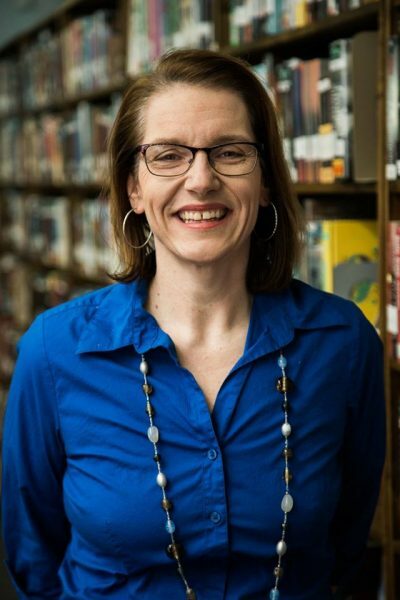 “They are seeing the library in what I consider to be its original role—expanding knowledge in our community,” she says. “I’m always trying to fight stereotype that all we do is check out books. 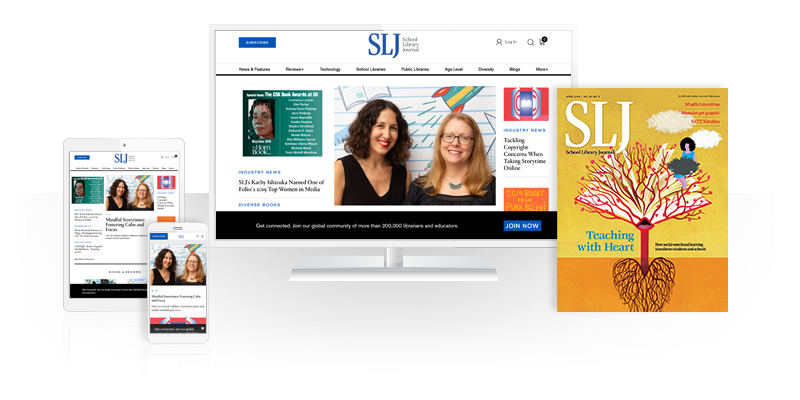 The power of a librarian is as a facilitator of knowledge.” Other teachers and organizations have contacted Smithfield seeking advice on starting their own ProjectCiv-like discussions. She is working on a professional development program for other teachers. And she wants her students to take what they learned out into the world, home or to college or wherever they may be, to show other people that civility and strong political beliefs can go together. “I definitely use ProjectCiv discussions as an example for any kind of conversation about controversial issues,” Harrington writes. “When I tell adults or really anyone, they are shocked that all of us can have such civil conversations and come to a conclusion.” For students like Harrington who have conservative views, these discussions have helped them feel like they will be immediately judged for voicing their beliefs or like outsiders in their own school. “When you feel like you have a voice and even if I totally disagree, you feel like you’re part of a community, might not agree with you but accepts you,” says Smithfield. “When we look at politics today we see so much division,” says Madole. “Sitting down and having a conversation over pizza with someone can’t make anything worse, it can only make it better. You’re learning and receiving and you might even change your perception of the other political party. There’s so many labels regarding each political party. We can actually listen to each other and learn from each other and love each other better. That is probably the main thing that comes out of ProjectCiv—the ability to listen and love and learn." Thanks to Ms. Smithfield for endeavoring to bring these students together. I believe both they and Hume Fogg will obtain a lot from it and help each student to feel that their opinions matter without being attacked when these opinions are expressed. We have to stop the name calling.